You should also remember how, in both cases, the Kurds proved themselves to be capable, brave fighters. They were and continue to be a stable faction in a volatile region–native boots on the ground that the U.S. can rely on. But facts on the ground can change quickly, especially when external powers intervene decisively in a conflict. 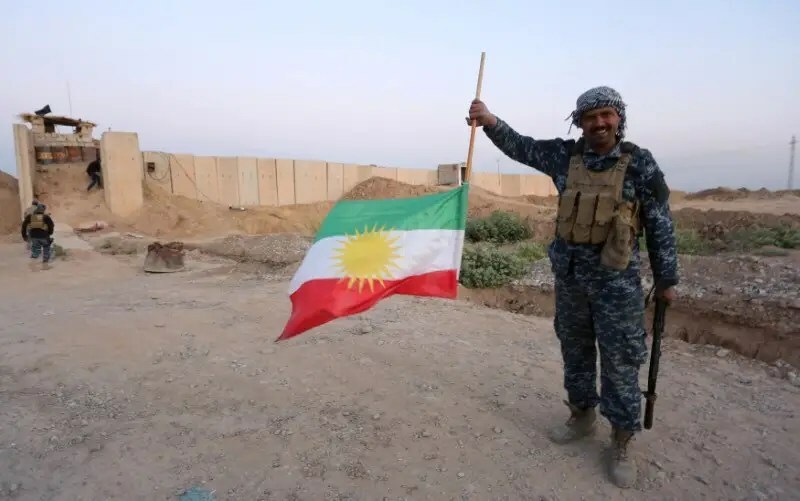 Seemingly a victory, a referendum for Kurdish independence quickly soured when the Iraqi military retook the Kirkuik oil field (backed by Iranian proxies). Yes, the same Iraqi military that melted away in the face of IS fighters and needed the Kurds to help clean up their mess, turned their guns on the Kurds for exercising self-determination. In Syria, Russia and Iran helped Assad turn the tide of the Civil War decisively in his favor. Now that he appears to be firmly in power, Assad has set his sights on retaking Syria’s Kurdish regions. In addition to being capable fighters, the Kurds have a penchant for democratic governance and women’s rights. In terms of a Middle Eastern partner, they are a dream match for the U.S.. We always lament the fact that we do have not enough true, democratic allies in the region, but I fear we are now abandoning one because supporting them doesn’t fits into Trump’s “America First” foreign policy. In Iraq, we stood by as the Iraqi military and Iranian militias ripped away the would-be heart of any future Kurdish state. But the U.S. has invested a ton of resources into maintaining a unified Iraq; while I cannot agree with America’s inaction here, it is somewhat understandable. What about in Syria, where this is not the case? Here too we are failing to protect our ally. In order to appease Turkish President Erdogan, President Trump has said he will stop arming the Kurds. This is the problem with Trump’s “America First” foreign policy–it is inherently short-sighted. Is it in America’s short term interests to defend the Kurds now? Probably not–we used em’ and now we could lose em’. Turkey is stronger than the Kurds; it is easier to give in to our more powerful “ally’s” wishes here regardless what is “right”, even as President Erdogan continues to turn Turkey into an authoritarian, non-secular country. Turkey does have some legitimate concerns about its territorial integrity when it comes to Kurdish statehood. Despite the erosion of Turkish democracy, Turkey is far from a “failed state” (as Iraq was and Syria still is), making the case for appropriating Turkish land for a Kurdish state much weaker. Mechanisms could be set up to protect Turkish sovereignty and borders alongside the introduction of a Kurdish state, which I have outlined in a previous blog post. More pointedly, if Turkey didn’t want the Kurds to have a much stronger claim to their own state, it should have acted more decisively in the Syrian Civil War and in the fight against the IS. Instead Turkey, like the rest of the global and regional powers, let the Kurds do the heavy lifting. Now, understandably, the Kurds want their just deserts. Would continuing to decisively back the Kurds upset some powerful players? Yes. What meaningful change does not? What happened to Trump’s supposed bravado? Risk aversion will only reaffirm to the status-quo in the Middle East–picking the least bad autocrats to be our allies, while the region remains mired in conflict and stalled development. Building true democratic allies in the Middle East will not be quick or easy, but it is important work nonetheless. Now to be fair, in international affairs long-term goals need to be weighed against short-term security concerns, and shortsightedness is not exclusive to the Trump administration. Obama did not do enough to protect a budding democracy in Egypt, and was too risk averse in Syria, allowing Russia to eventually come in and dictate the result of the conflict. There is, however, a sense that the Trump administration will not even really weigh these options when making tough decisions. After all, Trump has shown at best a lukewarm appreciation for democratic institutions at home (attacks on the judiciary and independent media) and has praised authoritarian leaders abroad. It is, therefore, no stretch of the imagination to think that he will, by default, opt for the easy solution without even considering the long-term benefits of promoting democratic governance. In this case, even considering the potential negatives, abandoning the Kurds would be one of America’s most short-sighted decisions the Middle East since we sleepwalked into the Iraq War in the first place. Based on what we know about Trump and his “America First” foreign policy, it is not likely to be the last short-sighted decision either. Update (1/27): I knew Trump wouldn’t do the right thing…The U.S. has agreed to stop arming the Syrian Kurds to appease Turkey’s Erdogan. Erdogan, sensing weakness in Trump’s resolve, is trying to further dictate terms to the U.S., demanding we remove all of our troops from Manbij. It would be incredible to imagine the U.S. allowing another country to dictate where we keep our troops, particularly since Manbij is part of Syria, not Turkey. With that being said, nothing would surprise me anymore; all bets are off with the Trump administration. Bottom line–Turkey and Erdogan have no right to tell us who we can ally with, and where to position our troops. Categories: Blog Posts, Conflict Watch | Tags: america first, Assad, democracy, Human Rights, Iran, Iraq, kirkuk, Kurd, kurdistan, Syria, Trump | Permalink.